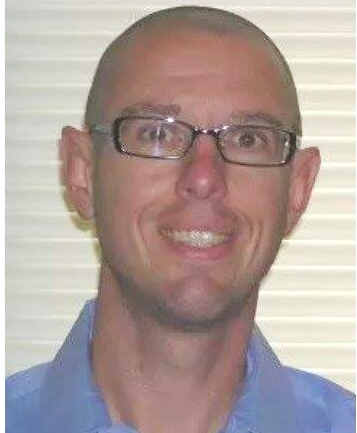 Update on missing Army Veteran, SPC Brian Orolin: It is with great sadness and heartache, that I must announce that the search for missing Army Veteran, SPC Brian Orolin, has come to a end. After 13 months of not knowing where he was, Brian was found deceased in December 2015. I would like to personally thank each of you that prayed for us, shared his posters on social media and to the numerous people that volunteered to search for him. You are all, truly a blessing to my family. I would appreciate your continued prayers for my 2 young daughters and I, as we begin our journey to mourn from his loss and for my 2 girls to grow up without their Dad. We would appreciate your respect for our privacy at this time. Brian was last known to be wearing blue jeans, a red shirt and a blue hoodie. Please contact the Montgomery County Sheriff’s Department at (936) 760-5871 – or call Texas EquuSearch at (281) 309-9500. 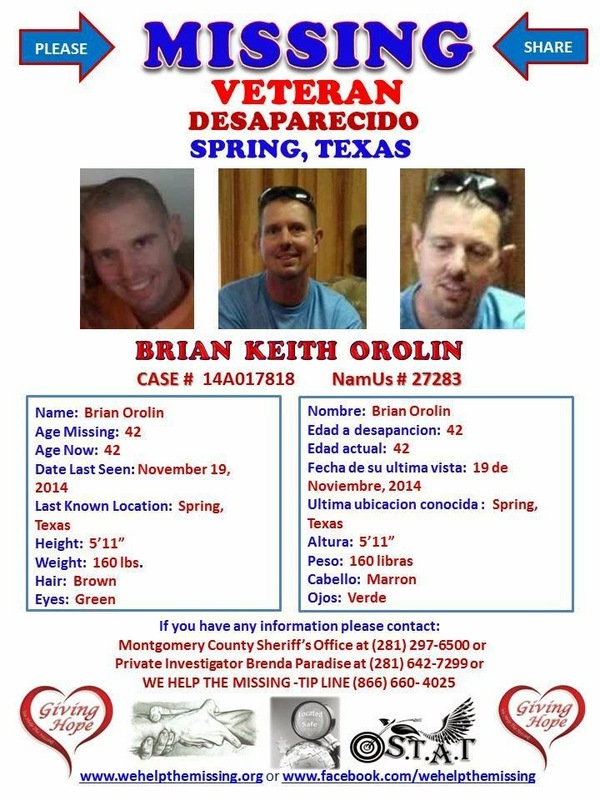 Brian is on the Missing Texas Forty list as number 51.